Classification of parts of speech in Chinese is tough due to the lack of morphological differences, and thus is short of in-depth investigation and exploration. 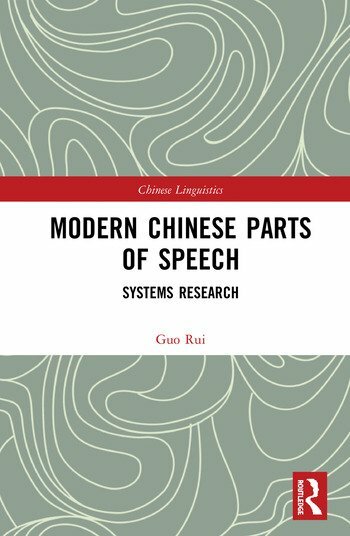 Based on the analysis and research of nearly 40,000 Chinese characters, this book elaborates on the system of Chinese parts of speech and proposes a set of criteria on their classification, contributing to relevant theoretical and methodological studies. To begin with, it examines the common characteristics and internal hierarchies of parts of speech, as well as the relationship between grammatical functions and parts of speech in modern Chinese. Then it puts forward the criteria on the classification of Chinese parts of speech, with a descriptive explanation of around 20 parts of speech. Besides, it illustrates the statistical studies on Chinese parts of speech, offering data support and corpus verification to the criteria. Also, it analyses the system of Chinese parts of speech from the perspective of typology. Specifically, it elucidates the correspondence between syntactic positions and parts of speech, functional differentiation of Chinese word items, etc. This book will be a valuable reference to researchers and students in Chinese linguistics. Learners of Chinese will also be attracted by it. Guo Rui is a professor in the Department of Chinese Language and Literature, Peking University. His main research lies in Chinese grammar and semantics.